On this special day and throughout the year, open your heart and mind to the infant Jesus, whose birth we celebrate today. May God bless you. The image above may be subject to copyright. 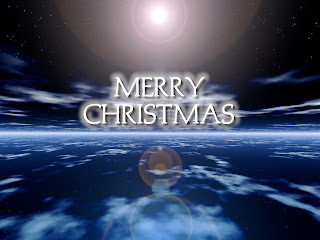 It was selected from the results of a Google search, which used the keywords "merry christmas." The source, according to Google, is: www.macmonkies.com/Etc/MerryChristmas_1024.jpg. The views expressed and/or images shown in this source do not represent the views of this blog.